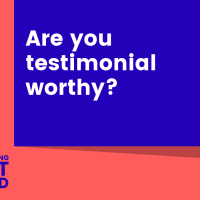 Marketing Out Loud: Episode 143 - Are you testimonial-worthy? We help consultants and professional service providers attract dream clients, increase fees and scale their businesses. Get professional services marketing tips delivered to your inbox.